The specific pathophysiological processes in many forms of obstructive hydrocephalus (HC) are still unclear. Current concepts of cerebrospinal fluid (CSF) dynamics presume a constant downward flow from the lateral ventricles towards subarachnoid spaces, which are in contrast to neurosurgical observations and findings of MRI flow studies. The aim of our study was to analyze CSF movements in patients with obstructive HC by neuroendoscopic video recordings, X-ray studies, and MRI. One hundred seventeen pediatric patients with obstructive HC who underwent neuroendoscopy in our center were included. Video recordings were analyzed in 85 patients. Contrast-enhanced X-rays were conducted during surgery prior to intervention in 75 patients, and flow void signals on pre-operative MRI could be evaluated in 110 patients. In 83.5% of the video recordings, CSF moved upwards synchronous to inspiration superimposed by cardiac pulsation. 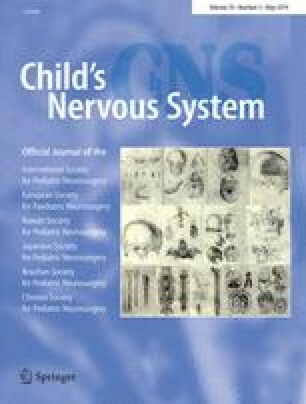 Application of contrast medium revealed a flow delay in 52% of the X-ray studies prior to neurosurgery, indicating hindered CSF circulation. The appearances and shapes of flow void signals in 88.2% of the pre-operative MRI studies suggested valve-like mechanisms and entrapment of CSF. Neuroendoscopic observations in patients with obstructive HC revealed upward CSF movements and the corresponding MRI signs of trapped CSF in brain cavities. These observations are in contrast to the current pathophysiological concept of obstructive HC. However, recent real-time flow MRI studies demonstrated upward movement of CSF, hence support our clinical findings. The knowledge of cranial-directed CSF flow expands our understanding of pathophysiological mechanisms in HC and is the key to effective treatment. Steffi F. Dreha-Kulaczewski and Hans C. Bock contributed equally to this work. The online version of this article ( https://doi.org/10.1007/s00381-019-04119-x) contains supplementary material, which is available to authorized users. HCB and AA performed the endoscopic part of the studies. HCL designed the study, conducted the study including endoscopies, and wrote the manuscript. SDK conducted the study and wrote the manuscript. JG conducted the study and wrote the manuscript.